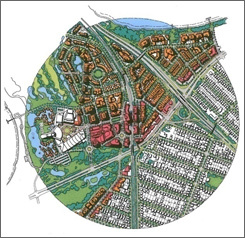 In an age when rising fuel prices are making car travel increasingly expensive, there is now a greater onus on urban designers and town planners to identify opportunities to provide homes and workplaces close to railway stations where people can use public transport instead of being dependant on their cars. Proposed new development associated with the new Mandurah station. 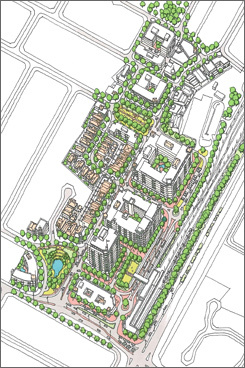 Transit-orientated development concept for the redevelopment of the Burswood Dome.